Played college basketball at University of Colorado (2007-11). Signed for the 2011-12 season by Erie Bay Hawks, NBDL. In November'11 signed by Denver Nuggets. In December'11, signed by Charlotte Bobcats. In January'13 signed by Erie Bay Hawks, NBDL. Moved to Russia for the 2013-14 season, signed by Triumph Lyubertsy. Moved to Turkey for the 2014-15 season, signed by Royal Hali Gaziantep. Moved to Russia for the 2015-16 season, signed by CSKA Moscow. Named 2017-18 EuroLeague Round 14 MVP. 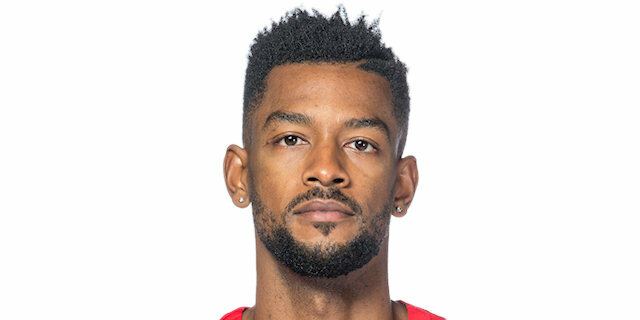 Named 2018-19 EuroLeague Round 6 MVP. Led the 2015-16 EuroLeague in 3-point shooting percentage (53.97%). Won the 2016, 2017 and 2018 VTB League with CSKA Moscow.